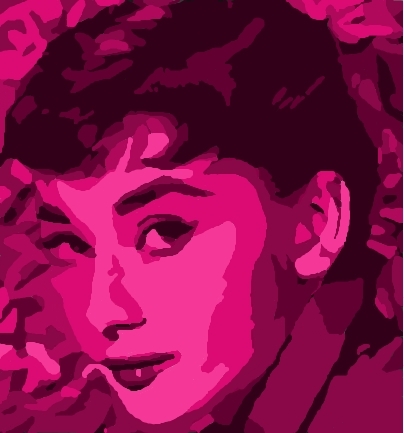 This Audrey Hepburn fan art contains red cabbage. Amazing! Is it alright if I post Audrey Hepburn and Tyrone Power on Instagram? (old_hollywood_lovers) is my account which is run by me and you will get credit for your photos.